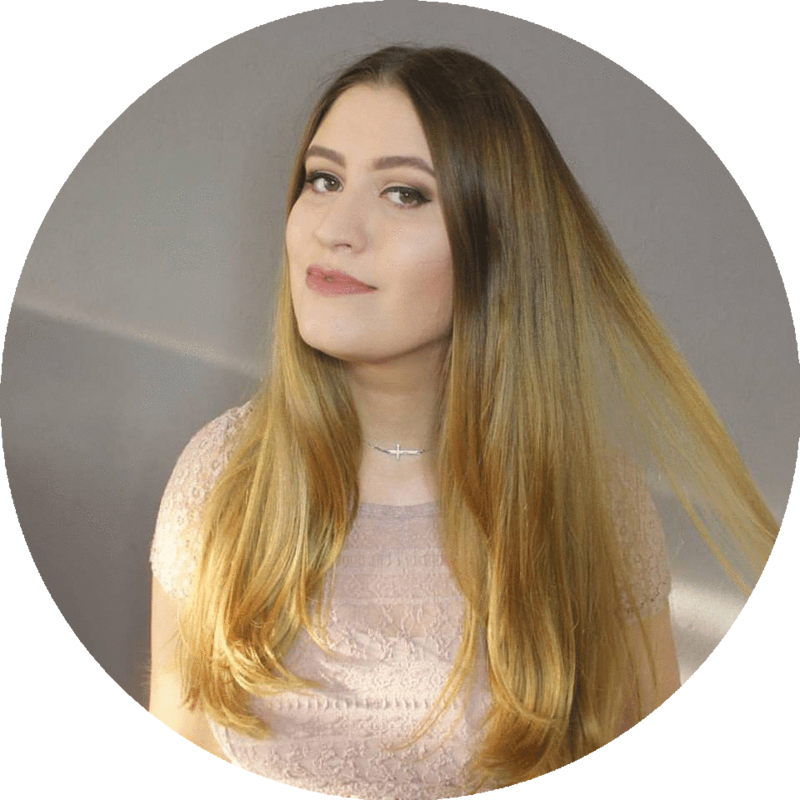 Julia's Fashion Minute: Eye make up looks of the month July 2015. Eye make up looks of the month July 2015.
in the past month I have shared a lot of eye make up looks on my instagram. 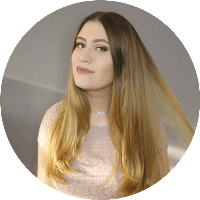 From natural everyday looks to crazy colourful looks, we will take a look at what I shared in July. This look was a party look I wore 4 weeks ago. I only used MAC eyeshadows for this look. In the inner corner I'm wearing 'Da bling'. On my eyelid I'm wearing 'Expensive pink'. In my crease I'm wearing 'Star violet'. And in my outer corner I'm wearing Sorcery. Under the lower lash line I'm wearing ' Expensive pink'. I used a Sephora eyeliner as eyeliner. 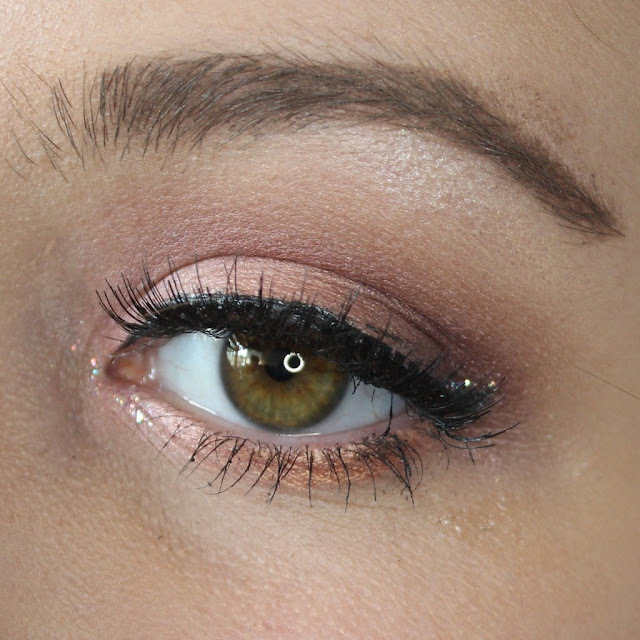 The glitter liner is by Too faced Starry-Eyed eyeliner in 'Mad mad love'. The fake lashes are by Primark. 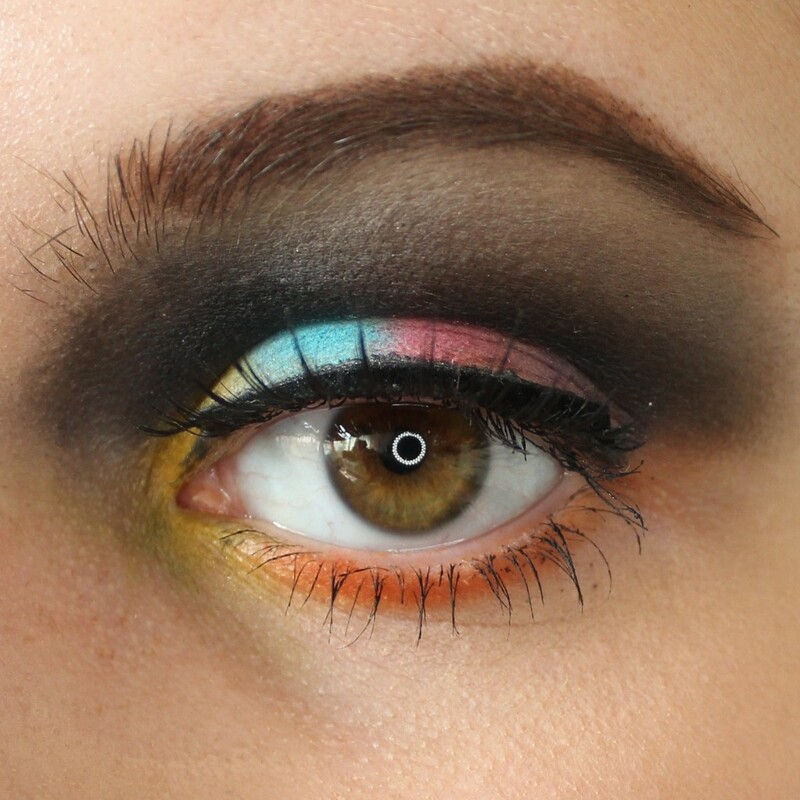 I also played around with an rainbow smokey eye make up look 4 weeks ago. I used the limited edition and no longer available Sleek Circus palette to create the entire look. And the lashes are by Primark. In this pink look I used the same eyeshadows as I used in the first look. I only used the eyeshadows a bit different for a more natural look. With this look I decided to try something different. And with different I mean an opposite day. Instead of applying eyeshadow and eyeliner on my eyelid I applied it under my lower lash line. I used the eyeshadow 'Expensive pink' by MAC. And the glitter eyeliner Starry-Eyed in 'Mad mad love' is by Too faced. The last look is inspired by the summer and the beach and the blue sea. 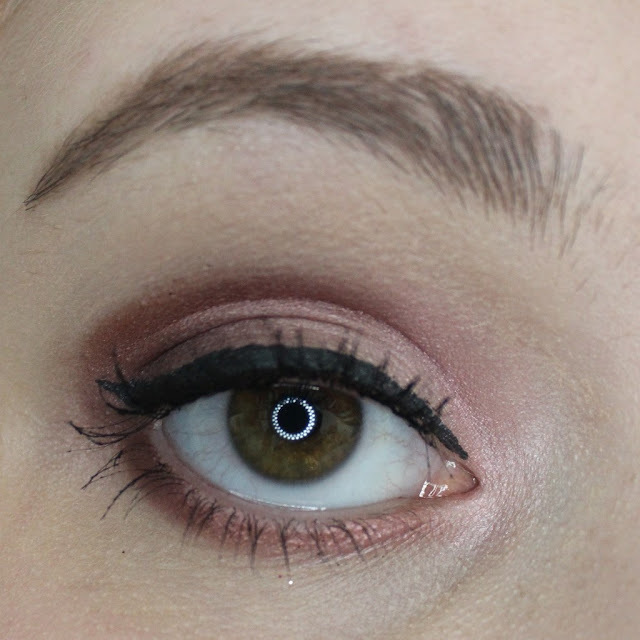 I wrote an article about the Sleek i-Divine Eyeshadow Palette in Del Mar Vol II that I used to create this look. cut the crease with the color 'Ocean beach'. 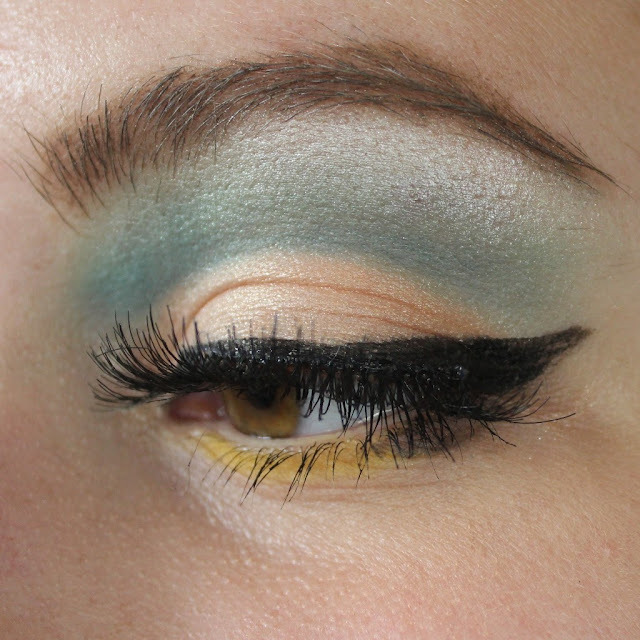 I blended to my eyebrow with the color 'Bora bora'. On my brow bone I used 'Pearl'. On my eyelid I used 'Loco'. In my outer corner I used 'San antonio'. Under my lower lash line I applied 'Ibiza rocks'. 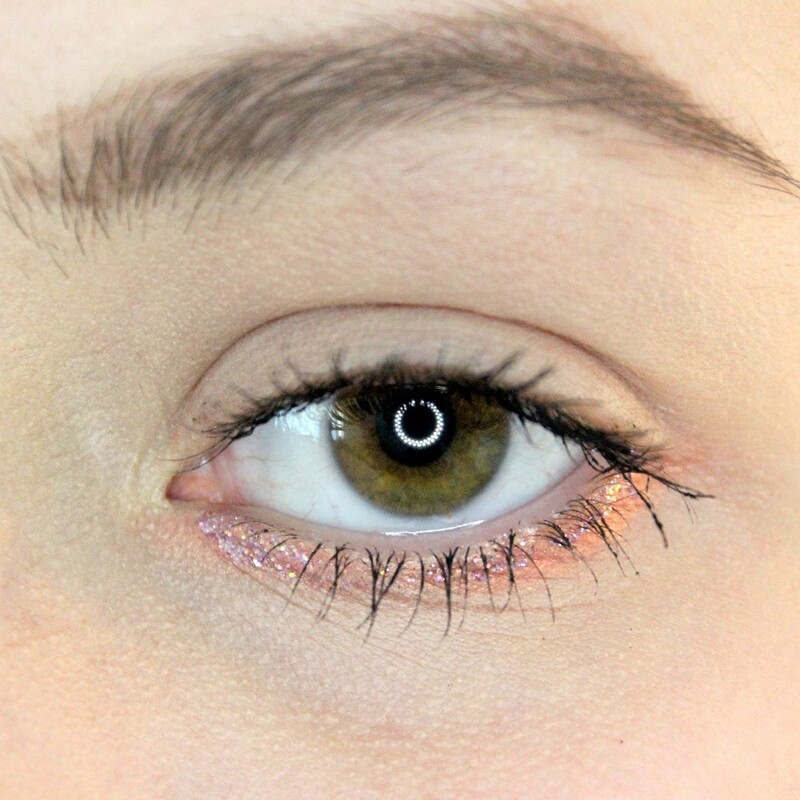 What eye look did you wear this month?